This year Garmin has introduced a new color of the Garmin Forerunner 235 that is exclusive to Fleet Feet Sports. The Black and Force Yellow Forerunner 235 is currently in stock at Fleet Feet Montclair. 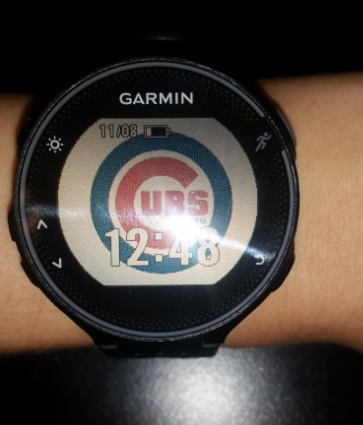 Holiday season is rapidly approaching and if you’re stuck at all with what to get the runner in your life, get this watch. It has everything a runner could want: tracks pace and distance, wrist-based heart rate monitoring, customizable watch face, activity tracking, smart notifications, and the list goes on and on. The wrist-based heart rate is also one of the key features of this watch. The Forerunner 235 uses Elevate Heart RateTechnology to measure heart rate 24/7. With numerous data screens and up to 4 fields per screen, you can scroll through all your information such as pace, distance, time, lap pace, lap distance, cadence, heart rate and heart rate zone. You can choose your activity between run, run indoor (an accelerometer allows your watch to track pace and distance without GPS), bike and other. “Other” can always be categorized on Garmin Connect, their online network which has options such as SUP, Sky Diving, Horseback riding, Speed Walking, Cardio, etc. Basically any activity can be recorded as such on Garmin Connect. Did I mention that all your information immediately syncs to your Garmin Connect Mobile via Bluetooth? While your phone is connected you are also able to upload workouts that you have created on Garmin Connect, meaning your watch will prompt you at the end of you interval and then when to go again. You will also receive smart notifications such as emails and text messages. Yes, this watch is waterproof, not to the extent of deep sea diving, but you can swim laps with it on and add the workout on Garmin Connect. In training mode with GPS on, the battery will last about 11 hours. In watch mode with heart rate and activity tracking enabled, it will last for 9 days without needing to be recharged. With the Connect IQ store, you also have access to numerous different ways to customize your watch by downloading different watch faces, widgets and applications. 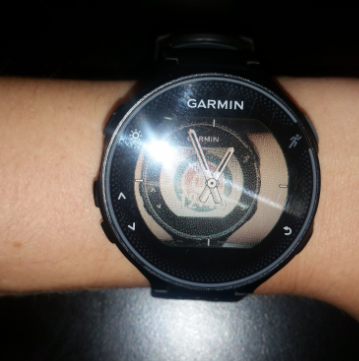 My personal favorite is the Garmin Face-It app, which allows you to turn any picture on your phone into your watch face, as well as customize the watch face to be digital vs. analog and where the time is displayed on it. The Garmin Forerunner 235 retails for $329.99. The special edition Fleet Feet Sports Forerunner 235 is currently available at Fleet Feet Montclair.